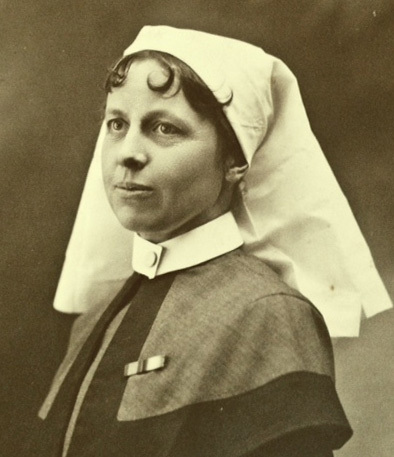 Home » List of all names mentioned in the diaries » More detailed information on some individuals » Medical colleagues » Matron Jessie Hume CONGLETON R.R.C. This is her Record of Service which shows both her award of the RRC and that she was mentioned in army orders for conspicuous bravery during a fire at No. 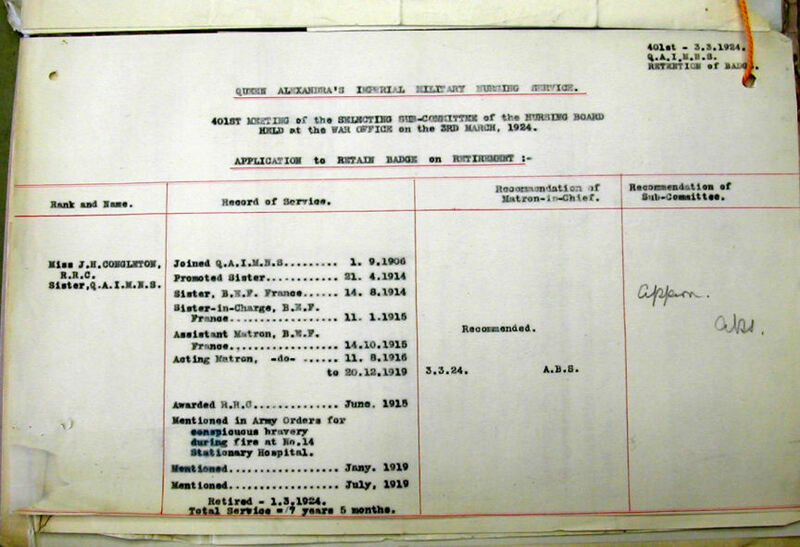 14 Stationary Hospital. Click on the image to enlarge. 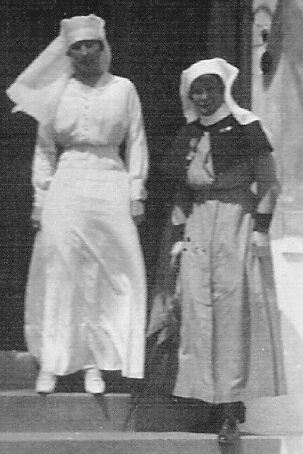 Here’s a photo of Matron Jessie Congleton (right) on the steps of No.32 Stationary Hospital, Wimereux (formerly the Australian Voluntary Hospital) together with Lady Murray. This is taken from a larger image which Sue Light has kindly allowed me to ‘borrow’ from an item posted on her This Intrepid Band blog on 22 July 2013. Click here to view. 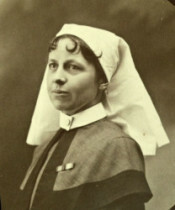 She retired from QAIMNS in March 1924, and died on 20 April 1932. 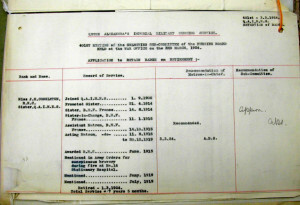 The notice of her death can be read in the British Journal of Nursing for May 1932 (page 134). Update 22 November 2011: Ann Etheridge in the USA, who is a collector of mourning jewellery, photography, and ephemera, as well as a historic researcher, has been in touch to share a letter she has which records Jessie Congleton’s death in Gibraltar in April 1932. The letter was written by Alice Congleton to her cousin Emily Hume in Allentown, Pennsylvania. You can see it here. There are three images showing four pages of the letter and one showing the envelope.